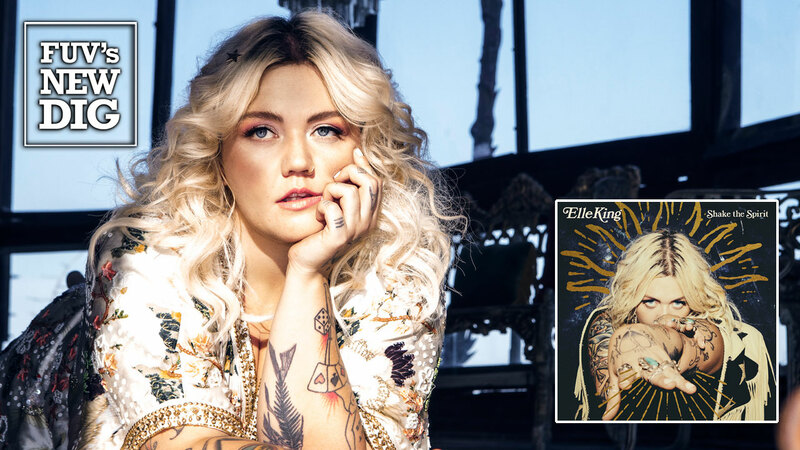 For singer, songwriter and actress Elle King, the years that followed her thundering 2015 debut album, Love Stuff, have been very difficult. The turmoil and personal struggles she experienced, and the process of repairing her psyche and confidence, fueled her sophomore album, the appropriately titled Shake The Spirit. King, born Tanner Elle Schneider, is the daughter of actor, comedian and former “Saturday Night Live” cast member Rob Schneider and London King, a former model. Elle's first single and EP were both released in 2012, followed by Love Stuff three years later. That album's breakthrough single, “Ex’s & Oh’s,” became a top ten hit for King and received two Grammy nominations. For King, the success of Love Stuff began a whirlwind of activity that overtook her and her lifestyle. She promoted the album heavily and lived hard while doing it. To complicate matters, a relationship led to a secret marriage after only three weeks. That marriage was turbulent, the couple separated and are now divorced, and King battled depression and substance abuse. The raunchy “It Girl” has a message sure to stop anyone in their tracks as King confesses, “You know I hate to wait, so I always put out on the first date." Another slap down comes via “Man’s Man” where King calls out an unfaithful lover and then delivers an "oh, by the way" that is sure to rock his world. “Talk Of The Town” and “Told You So,” both solo King compositions, are no-nonsense rockers that deliver a knockout punch. Then there’s “Runaway" which blends Sixties-era girl group pop with country (akin to Patsy Cline) into her style. King wrote all of the songs on Shake the Spirit, with co-writers that include Kurstin (“Baby Outlaw” and “Runaway”) and Death Cab For Cutie’s Ben Gibbard (the punchy, bass-heavy”Naturally Pretty Girls”). Her band, the Brethren, was at her side throughout the sessions, which took place in Los Angeles and Denton, Texas. There are many ways of looking at King’s second album. In terms of powerful, in-your-face, pop-infused rock 'n' roll, Shake The Spirit does pick up where Love Stuff left off. As a vocalist, King is a formidable force who might be compared to Adele or Wanda Jackson, but her story is all her own; Shake the Spirit is the sound of one woman's vulnerability and empowerment. It’s a cathartic outburst that is soul cleansing and enriching. "I've been beat up, I've been put down, I've been kicked around, but I'm still standing," confesses King in an emotional trailer for the album. It’s the voice of a person who believes in herself and who she is. King's Shake the Spirit is a great, loud piece of advice for those who find themselves down and out: to get up, shake the darkness off of yourself and wake up.